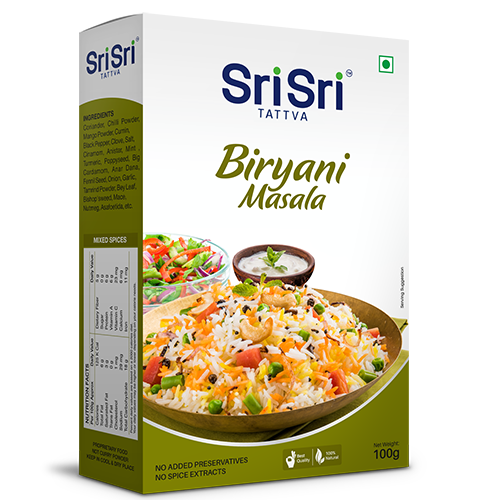 Biryani Masala is a rice based food mixed with spices, rice and vegetables. 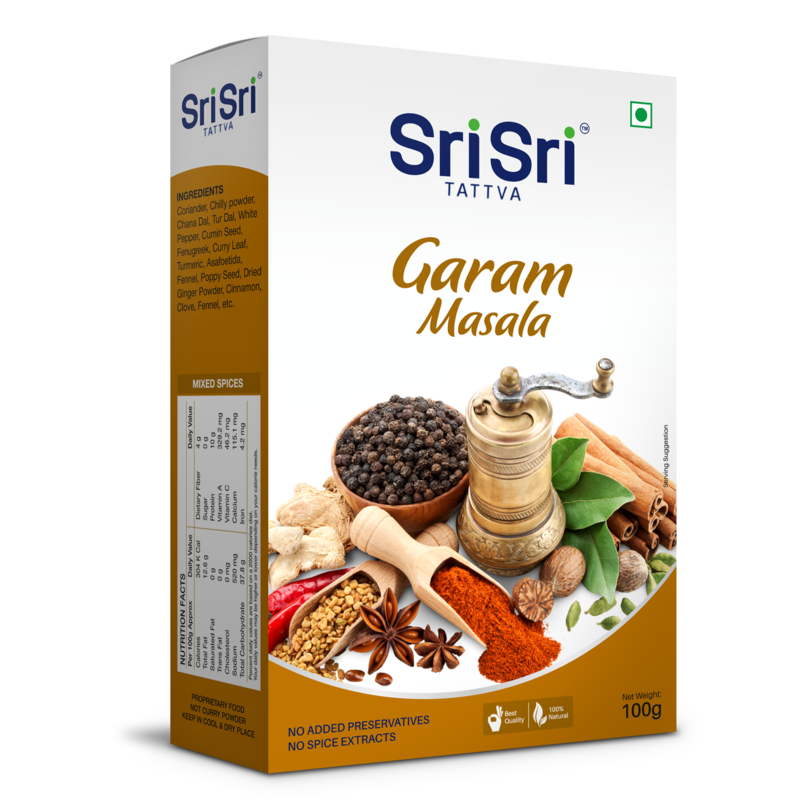 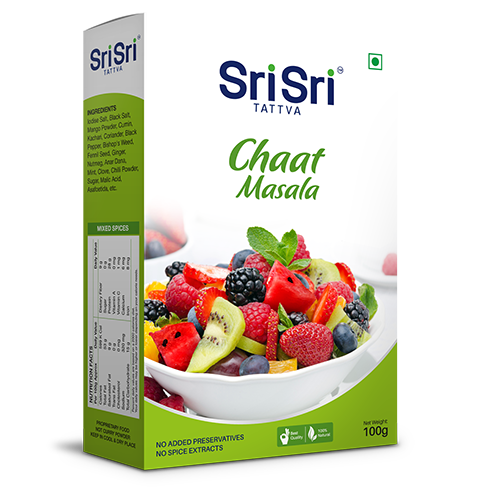 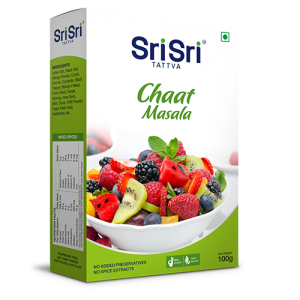 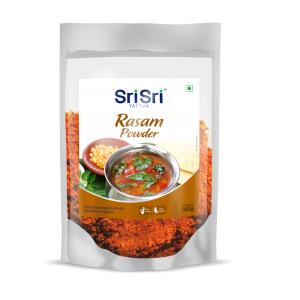 Sri Sri Tattva Biryani Masala is a luscious blend of exquisite spices. 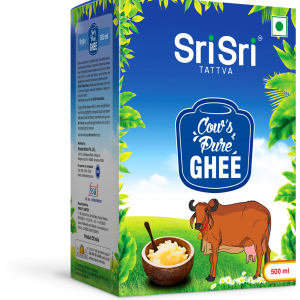 This mix will let you savour the taste of homemade biryani and tingle your taste buds with lots of excitement.